See below press release for more insights. 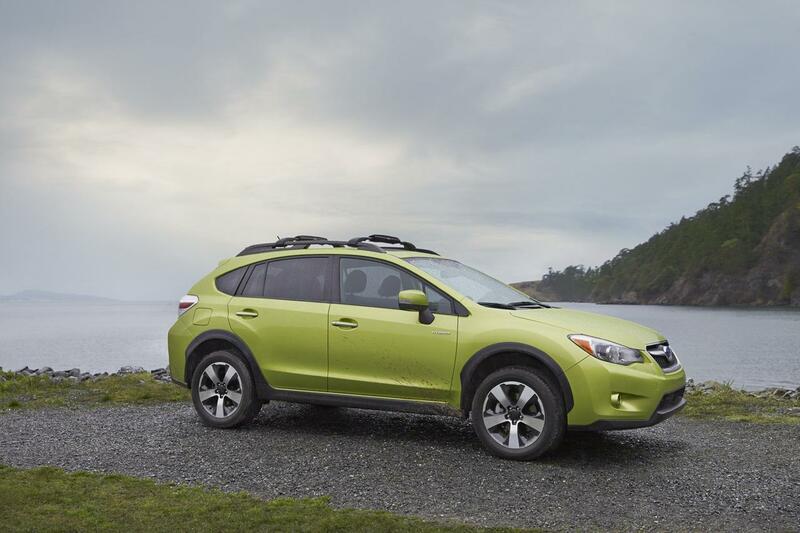 Cherry Hill, N.J. – Subaru of America, Inc., which has posted record-breaking sales every year for the past six years, today announced pricing on the enhanced 2015 XV Crosstrek models. 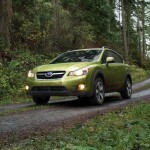 The 2015 XV Crosstrek models will arrive into retailers in December. 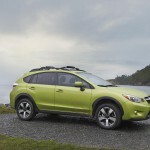 Pricing on the newly added XV Crosstrek 2.0i begins at $21,595. With just a $300 increase over previous year, the new Premium and Limited trim levels feature the updated Subaru STARLINK Multimedia system. 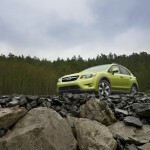 The XV Crosstrek Hybrid pricing remains at $25,995. 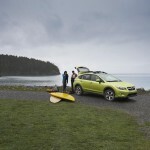 The versatile, fun-to-drive XV Crosstrek combines bold five-door design, a highly capable chassis, best-in-class fuel economy and updated multimedia features. 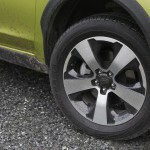 Standard Symmetrical All-Wheel Drive, 8.7-inches of ground clearance, 17-inch alloy wheels and ample room make Subaru XV Crosstrek a high-capability crossover. The model is one of the most fuel-efficient all-wheel-drive crossover utility vehicles in America, delivering 34-mpg EPA-estimated highway fuel economy. 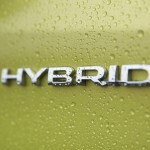 Both the gasoline and hybrid models feature the Subaru BOXER engine and Symmetrical All-Wheel Drive standard. All gasoline models are powered by a 148-horsepower 2.0-liter BOXER engine, teamed to Symmetrical All-Wheel Drive via a five-speed manual transmission or available second- generation Lineartronic® Continuously Variable Transmission (CVT). 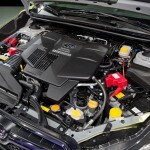 The XV Crosstrek Hybrid model’s 2.0-liter Subaru BOXER engine uses a slightly higher compression ratio (10.8:1) than in the standard gas model (10.5:1), along with reduced-friction piston rings and valve springs and a higher capacity exhaust gas regeneration (EGR) system with an EGR cooler. The main performance boost comes from the permanent-magnet AC synchronous electric drive motor, which produces 13.4 hp from 1,500 rpm-6,000 rpm, for a total hybrid system output of 160 hp at 6,000 rpm. The starter and alternator functions are combined into one unit. A 100.8V, 13.5kW nickel-metal hydride battery, with 0.55kWh capacity, is located under a revised rear floor area. The battery is placed low in the vehicle to help with handling agility. 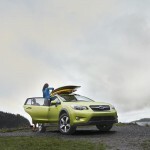 The Subaru XV Crosstrek incorporates numerous body and chassis enhancements for its expanded-capability mission. Black side- and wheel-arch cladding, rocker spoiler and roof rails provide a rugged contrast to the body color. 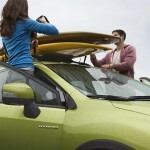 The higher ride height, body-color roof spoiler and unique-design 17-inch wheels bolster the Subaru XV Crosstrek model’s go-anywhere stance and attitude. 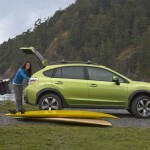 Offered at $22,295, the 2.0i XV Crosstrek Premium models offer as standard, the All-Weather Package (heated front seats, heated side mirrors and windshield wiper de-icer); a tilt/telescoping steering wheel with audio and Bluetooth® control switches; power windows, door locks and side mirrors; multi-function display with fuel economy information; security system with engine immobilizer; outside temperature gauge, and carpeted floormats. They also include a waterproof rear cargo area tray, and cargo area cover. Award winning driver assist technology, EyeSight is now available on XV Crosstrek Premium models paired with STARLINK™ 7.0 Multimedia Plus for $1,295. XV Crosstreks feature an updated, sportier instrument panel including a multi-function display with a trip computer located in the center of the dashboard. Rich-looking appointments and details abound, including soft-touch materials for the dashboard, door trim and center console armrest. 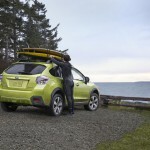 Welcome Lighting is now standard on XV Crosstrek Limited, Hybrid and Hybrid Touring models. The XV Crosstrek 2.0i, 2.0i Premium and XV Crosstrek Hybrid models offer a new 6.2-inch touch display with rear vision camera, swipe and scroll multi-function control for audio and other features. System features include Subaru STARLINK™ smartphone integration with Aha™ Infotainment, Pandora® and iHeart® Radio. (4 speakers for the 2.0i; 6 speakers for Premium trims). XV Crosstrek 2.0i Premium with EyeSight and 2.0i Limited also get new STARLINK™ 7.0″ Multimedia system with standard system’s features plus 7-inch multi touch gesture display screen, SiriusXM® Satellite Radio (subscription required), voice activated controls and dual USB ports (6 speakers). A color LCD in the gauge cluster has been added. In addition to featuring the Lineartronic CVT as standard, the Subaru XV Crosstrek Limited adds leather-trimmed upholstery, steering wheel and shift handle; automatic climate control system; auto on/off headlights, a rear seat armrest with dual cupholders and turn signal exterior mirrors. Limited trim models start at $24,795. Standard on all Hybrid trims, Keyless Access with Push Button start system is an available option on XV Crosstrek Limited and now features Pin Code Access. Available on XV Crosstrek Limited and Standard on the XV Crosstrek Hybrid Touring is the Subaru STARLINK™ Multimedia Navigation system which adds navigation, SiriusXM NavTraffic® and NavWeather® services (subscription required).